Nelson's ship in a bottle created by artist Yinka Shonibare sat on the fourth plinth in Trafalgar Square in 2011. 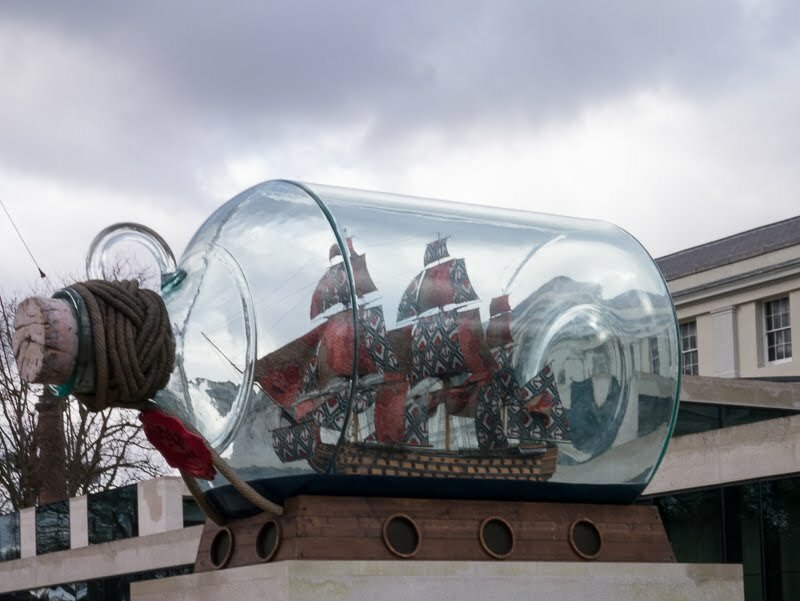 It now has a permanent plinth in front of the Maritime Museum in Greenwich. Fabulous Mo, i've always liked the idea of ships in bottles. Whenever I see one of these I always wonder how do they do that! Nelson had a very tiny ship! Very cool, Mo. Good thing that they kept this ship displayed. Re your comment: The Charter Oak was a specific oak tree in which patriots hid the state's charter hundreds of years ago when the British king sent an emissary to Hartford to take the charter away. You can click on the link in my post today.